Providing expert musical instruction to promising young talent. The Lessons from the Legends program funds one-on-one instructional sessions with established musicians who have recorded and played with jazz and blues giants and, in many cases, are the giants themselves. Candidates for these lessons are young, up-and-coming musicians who show promise but lack the financial means to afford private tutoring. These young adult musicians can perfect their craft and learn from the very performers they grew up listening to – musicians who might have inspired them in the first place. The program provides a way for respected artists to pass along their knowledge and experience to the younger generation, demonstrating the secrets of their technique and tricks of the trade. Passing on their legacy becomes an important priority for an elder jazz musician. This work is an especially meaningful outlet for homebound musicians who no longer tour. It provides a tremendous sense of purpose and connection with the next generation of artists. Students get the privilege of developing an educational and personal relationship with one of the jazz greats, deriving inspiration and musical understanding through this profound experience. 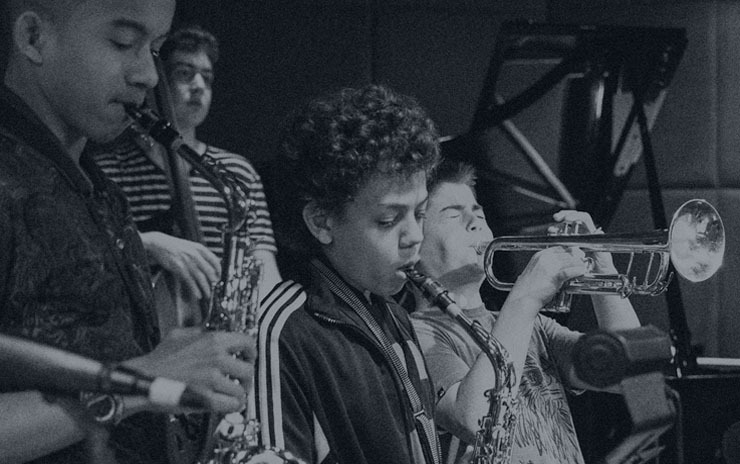 Your donations ear-marked for the cross-generational JFA initiative Lessons from Legends offers young adult musicians the opportunity to learn music and history from elder artists from the blues, jazz, and roots music communities. This is an invaluable program for passing the music on to the next generations.